Vietnam – the land of miracles always surprises and provokes foreign visitors’ curiosity as one of the best tourist destination in the world. Exploring a marvelous Vietnam will be never enough because there myriad unknown or little known places with amazingly spectacular landscape such as deserted unspoiled islands, soaring dangerous mountains or endless expanses of sandy beaches. 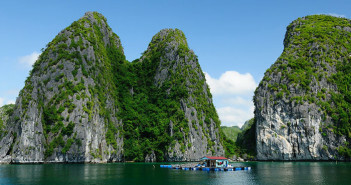 Especially, a visit to Vietnam is not complete without spending time admiring the marvels of natural recreation with a wide collection of spectacular waterfalls. If you are too familiar with well-known Ban Gioc, Cam Ly or Preen waterfalls, exploring the 7 below beautifully hidden waterfalls in Vietnam will be much more adventurous and exciting. Nestled in Dak R’Til , Tuy Duc district, which is about 60 kilometers away from the center of Gia Nghia town, Đắk G’lun Waterfall is of 50 meters high. From a long distance, the waterfall looks like a long two-lined silk hanging over the cliffs and playing with the wind of the mountainous Central Highlands. Explore Đắk G’lun Waterfall, you will be definitely mesmerized with not only the distinct beauty of a refreshingly cool waterfall with lines of waters like white foams but also the great feeling of immersing yourself in a peaceful and tranquil space surrounded by lush and green primeval forests, thereby creating a relaxing and comfortable atmosphere. There is nothing quite like watching green hills to capture a panoramic view of the whole landscape with the sound from the jungle combined with the one of waterfall flows and chirping birds. 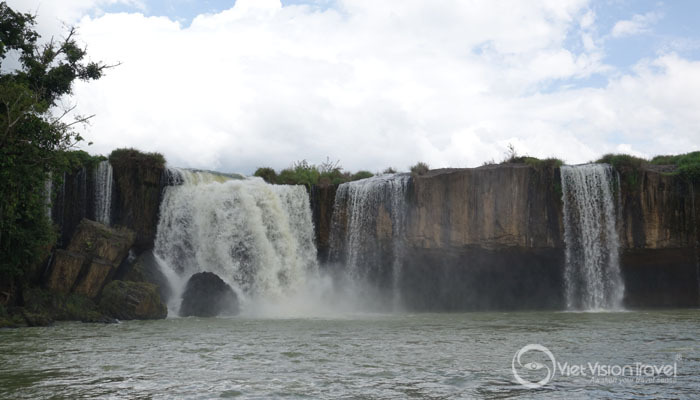 Situated in the Kon Tu Rang village, Mang Canh Commune, Kon Plong district, Kon Tum, Pa Sy Waterfall offers tourists the wild beauty that cannot be found elsewhere.. Situated at an altitude of about 1,500 meters above sea level, Pa Sy Waterfall went under a formation of three springs. 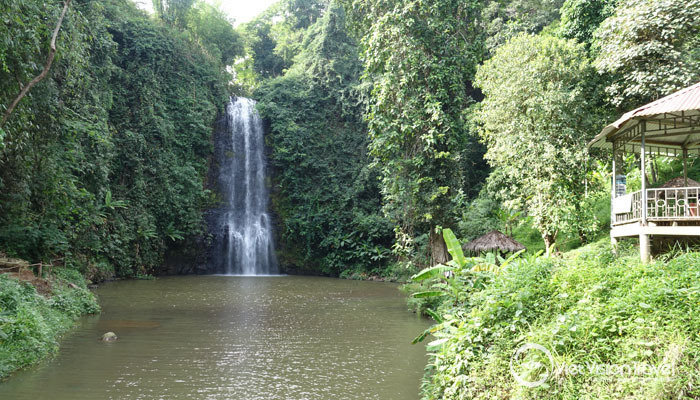 Visit Pa Sy Waterfall, you will be taken aback with a system of lush jungles with high mountains. Especially, the atmosphere is extremely cool and relaxing. At that moment, you will feel best moments in your life in a relaxing ambience, thereby sensing the strong vitality of this S-shaped country. Another worth-mentioning waterfall is Gia Long Waterfall. Also called Dray Sap Shanghai, Gia Long Waterfall belongs to Srepok Dray Sap commune, Krong Ana district, Dak Nong Province. The best way to approach this amazing site is that from Buon Me Thuat, you move along the highway 14 then turn left to the port and move about more 10 kilometers. With Gia Long Waterfall, there are a lot of small lakes created beneath the waterfall. All creates a system of magnificent wonder that makes a deep impression on first-timers here. You will have a chance to admire the natural pristine beauty of both green surrounding areas and two-colored water in the lakes under Gia Long Waterfall. 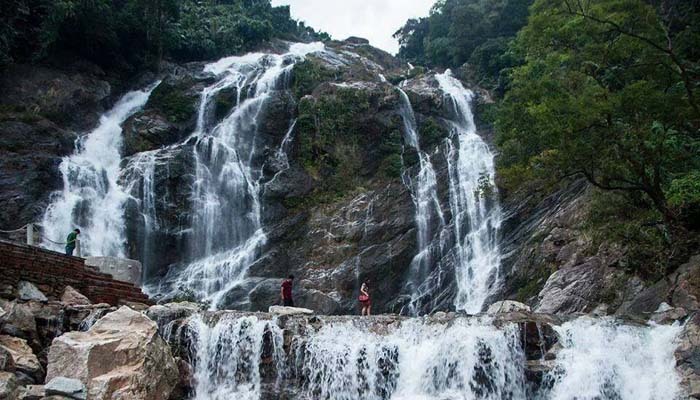 Situated in the middle of marvelous range of Truong Son Mountain, Trang Minh Long Waterfall is one of the most beautiful waterfalls in the mountainous area of Quang Ngai Province. The height of the waterfall ranges from 40 to 50 meters and it is considered to be a giant inlaid white silk on steep slopes. Under the foot of the waterfall, there is a wonderful deep-natural lake painted with blue, providing refreshingly cool atmosphere. In this hot summer, immersing yourself in the brilliant patchwork of multicolor picture is one of the most amazing things to do. Head to Hoa Binh to discover the wildness of nature. Perhaps, Mu Waterfall is still a little known place for a lot of people, especially overseas travelers. 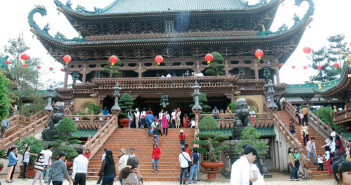 However, when visiting it, you will certainly get excited by the wild beauty of the mountainous Hoa Binh. It is not exaggerative to say that Mu Waterfall is like a young and beautiful girl that is innocent but also powerful. Stepping into the world of wildness, the beauty of waterfall will get into your emotion by such a magnificent scene which is almost like a mythology movie. Don’t hesitate to plan a trip to explore these superb hidden waterfalls in Vietnam. For sure, you can have best time there.